Our East Lincoln practice is staffed by a team of highly-experienced dentists who are committed to giving everyone in Lincoln a smile they are always proud to show off. Each one has attended some of the finest educational institutions in all of dentistry and continue to refine their skill set by taking continuing education courses every year. When you come to Williamsburg Dental East, you can trust that your smile is always in good hands. Below, you can get to know our fantastic doctors a little better. Dr. Colt Beddes was born in Omaha and grew up in Casper, Wyoming. He graduated from Natrona County High School and went on to receive a degree in Biology from the University of Wyoming in Laramie. During his time there, he served a two-year church mission in the Toronto, Ontario area. He then returned to Nebraska to attend dental school at the UNMC College of Dentistry where he excelled in general dentistry and received the W. W. Webster Oral Surgery Award and special recognition from the Academy of Osseointegration in the area of implant dentistry. When not working Dr. Beddes prefers to be four-wheeling, snowmobiling, snorkeling, swimming, or looking for a secluded camping place for a nice fire or to go for a hike. He is also a bird enthusiast and enjoys staring into trees and listening to bird songs. Dr. Beddes is married and has three beautiful children who are the joys of his life. He has a son named Taft and twin baby girls, Jorji and Tuli. 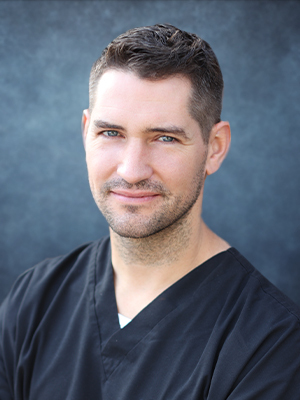 Ben graduated from Creighton University School of Dentistry in Omaha and began practicing dentistry in Kansas City. 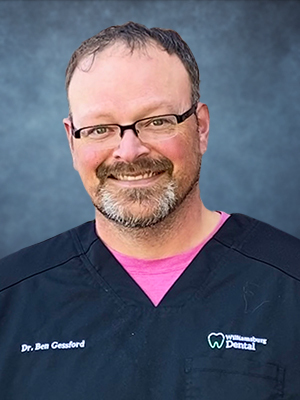 As a graduate of one of the best private dental schools in the nation, he is truly exceptional in all aspects of general dentistry. In 2007, Ben and his wife Colene moved back to Lincoln. They have 2 beautiful boys: Miles and Caleb. Away from the office, Ben enjoys spending time with family, movies, fishing, skiing, running, and of course, Husker football.